In 2012, I was working on my doctoral research, which focused (and still does) on a care delivery model that integrates a new nursing role, the clinical nurse leader. I wanted to understand the mechanisms by which this reorganization and implementation of nursing care delivery produced documented improvements in care quality and outcomes. I chanced upon Martha’s and Brian T. Pentland’s article Organizational Routines As A Unit Of Analysis (2005) via an exploratory Google Scholar search. Fascinated, I found and read more of her articles, which opened my eyes to a theoretical lens and body of work on organization dynamics that I felt could be leveraged to better understand and explain the complexity of multi-disciplinary healthcare delivery. group includes nursing, social ecology, business, education, informatics, and many other interdisciplinary scholars who meet every month for a couple of hours to engage with practice theory and empirical research that uses a practice theory lens. As I am learning, practice theory offers a new way of understanding and explaining social phenomena such as contemporary organizing, which is increasingly understood to be complex, dynamic and distributed. A philosophical premise of practice theory is that there are no boundaries separating subject and object, mind and body, or structure and action, but rather they only exist in a recursive relationship of mutual constitution. Mutual constitution means social orders (structures, institutions, routines, etc.) cannot be conceived without understanding the role of actions in producing them, and similarly, human actions should be understood as always already configured by structural conditions. This continuous co-production of action and structure in practice means neither is static or stable, but rather they are continuously refreshed, adapted or perpetuated. The more I became immersed in this strange new world of mutual constitution, the more I began to think about nursing practice in relation to the spaces where nurses practice. Current theory and research on nurse practice environments focus on the ‘things’ necessary to create environments that nurses then populate and practice within. Bad environments make nursing practice difficult, good environments make nursing practice easy. Partial or thwarted nursing practice negatively influences patient health outcomes, while fully engaged nursing practice positively influences patient health outcomes. I slowly began to realize that in this conceptualization, no meaning is ascribed to nursing practice contributing to the environment where all this occurs. Using a practice lens, I began to understand that nurses, along with patients and everyone else on the healthcare team, through their practices, are always meaningfully constituting their environments of care and conditions for practice. There is in fact no externally defined environment that nurses and others populate and act within, but rather the environment is embedded in their activities. Once that became clear to me, I made another realization; there is currently no proposition explicitly linking nursing practice and the environment in the nursing metaparadigm, which I believe has led conceptually and methodologically to nursing knowledge that is also preconfigured and separate. In other words, because we have not linked nursing practice and the environment theoretically, we have not considered the ways they are linked empirically and have instead studied them in isolation from each other. Once that became clear to me, I felt challenged to address this theoretical gap as a first step towards creating awareness of nurses’ critical role in shaping environments through their practices. 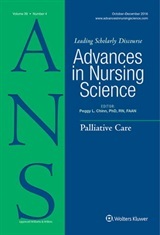 Hence the published article, which argues that a refined conceptualization of the interdependency of nursing practice and environment is necessary to identify, theorize and promote nursing practices that are beneficial to the environment of care as part of an explicitly proposed domain of nursing knowledge and practice. 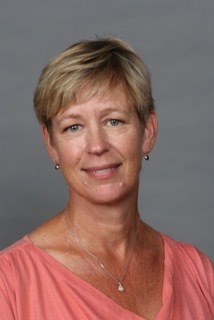 The significance of a focus on the mutual constitution of nursing practice and environment is that it enables the conceptualization and development of holistic models of care that better integrate the dynamics of practice and the conditions for health into the organization of healthcare delivery. Implications include healthcare practice patterns that patients, nurses and the multi-professional healthcare team consider healing and health promoting. This has been a long, long journey that really is only just beginning. Over the last few years I have transitioned from doctoral student to assistant professor at UCI, which allows me to continue my engagement in this incredibly generative cross-disciplinary practice theory forum that Martha initiated and which continues to flourish. 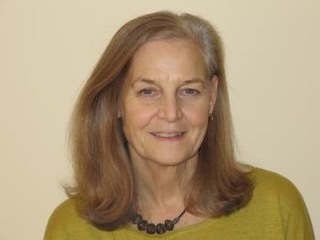 I am grateful to Martha and all participants of the reading group, who challenge me to further explore practice and the duality of structure and action in relation to nursing and healthcare delivery, and to better understand how healthcare practice patterns are produced, reinforced and/or adapted, and how they generate both expected and unexpected outcomes and the conditions for further practice. ← Future Issue Topics Update!